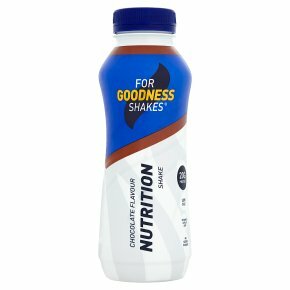 Nutrition is a UHT milk-based protein shake with sweetener enriched with vitamins. Chocolate flavour. Simply shake it and drink; use it as a protein top up or as a tasty snack on the go. Shake well before opening.